Be alerted to unusual security or performance behavior with your Azure SQL instances. Receive email notifications complete with histograms, incident context, and the triggered search query. Quickly traverse between unified dashboards showing metrics and detailed logged events. Easily collaborate details with your team to close incidents in less time using shared links and pre-filtered dashboards. Leverage real-time and historical performance trends to fine tune your user experience, system configurations, and applications. Consolidated error collection across your environment provides a single pane of glass for your team. Teammates can quickly triage misbehaving databases using visualizations of error trends, top errors, and parsed error details. Improve availability and user experiences by sharing insights between developers, operations, and leaders to quickly make business impacting decisions. 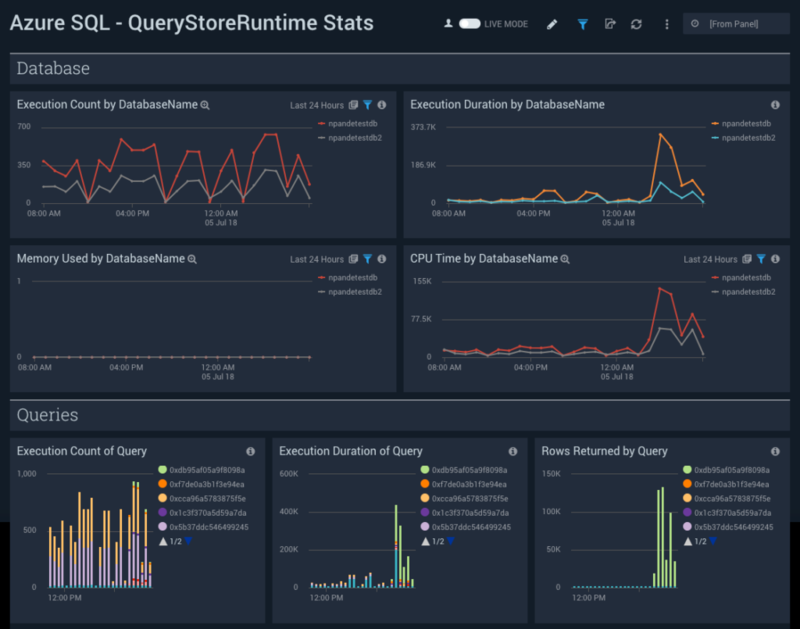 Sumo Logic makes it easy to understand real-time Azure SQL performance metrics and compare them with historical baselines. Teams are able to improve database performance using runtime metrics and efficiently troubleshoot issues using powerful search queries. 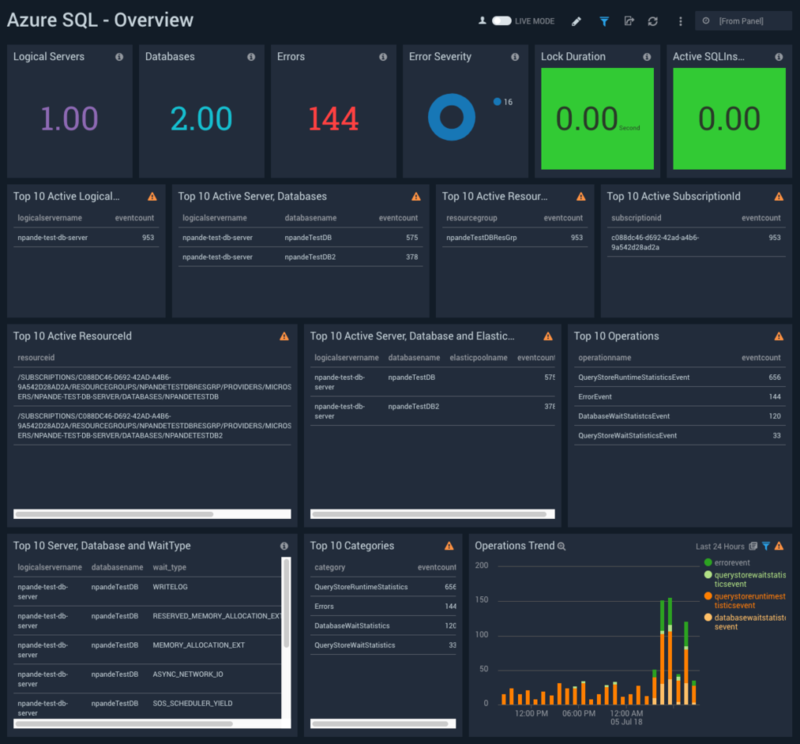 Install the Sumo Logic App for Azure SQL for your datasource.